The end of the semester is near, and so are its due dates. Need help getting started, creating an outline, finding sources, writing citations? The librarians and writing tutors are here to help you succeed! 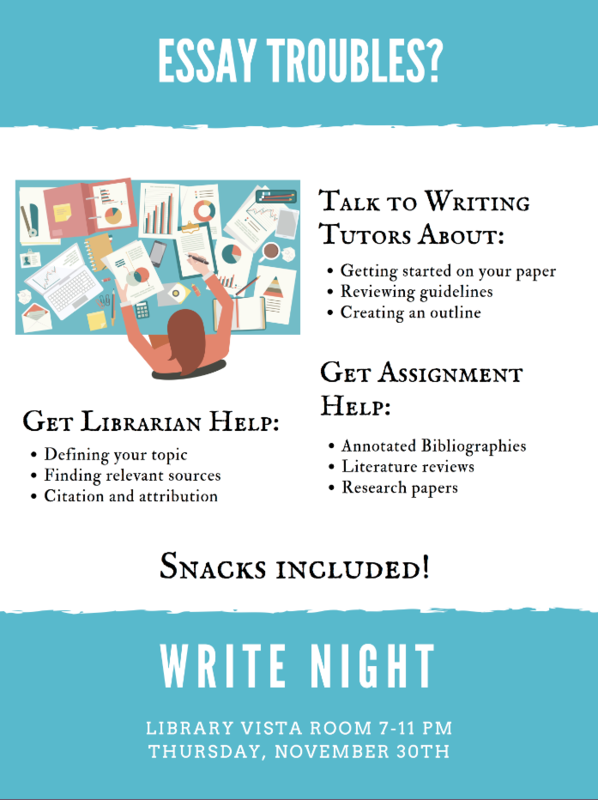 Drop by the Library’s Vista Room on Thursday, November 30th, from 7-11 pm for a snack, a productive working environment and assignment help on your annotated bibliographies, literature reviews, research papers, and more.